The National Grange today filed suit against a New York City-based business that has used the Grange name without authorization. The National Grange, the nation’s oldest nonprofit agriculture and rural public interest organization, filed a complaint against Brooklyn Grange, LLC in the U.S. District Court for the Eastern District of New York for trademark infringement and unfair competition. The move comes after Brooklyn Grange LLC continued unauthorized use and expansion of the National Grange’s famous trademark GRANGE. National Grange President Ed Luttrell said Tuesday that while the Grange did not initially seek to file suit, the move was necessary in order to protect the Grange’s name and reputation. “Filing a lawsuit in federal court is always a last resort, only used when all other attempts to resolve a conflict have failed. However, in order to protect the National Grange’s exclusive rights to its famous and well known GRANGE trademark, the National Grange has a duty to prevent unauthorized use of its trademarks,” Luttrell said. Luttrell said this filing comes after talks between the two organizations failed. The National Grange is the owner of the U.S. Trademark for the word GRANGE. The National Grange also owns the trademarks NATIONAL GRANGE; THE GRANGE FOUNDATION; NATIONAL GRANGE OF THE ORDER OF PATRONS OF HUSBANDRY; and the image of the seven sided GRANGE LOGO. The National Grange was founded Dec. 4, 1867 to promote family farmers and agricultural interests, and first began using the GRANGE Trademark in 1876. It has long used the GRANGE Trademarks in the United States in connection with a variety of goods and services related to fresh and prepared foods and meal services. Commercial sales of food and meal-related services by local Grange chapters are used as fundraising programs that are re-invested in local Grange chapters to further the organization’s non-profit, community service and agricultural education missions. 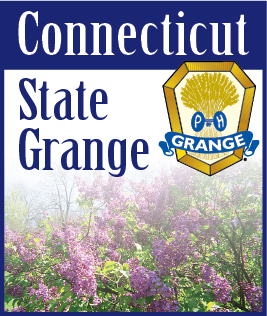 Today the National Grange’s more than 162,000 members provide a variety of volunteer based, as well as commercial, goods and services to families and communities, through an extensive network of more than 2,500 state, county and local Grange chapters across America. Brooklyn Grange LLC, located in Long Island City, N.Y., in Queens, is a recently formed, privately owned, for-profit, commercial agribusiness with business operations in the New York City area. Brooklyn Grange LLC’s agribusiness operations include the production and sales of produce, eggs and apiary products grown at their 80,000 square feet of rented space. These products are sold to commercial restaurants and other food service establishments in the New York City area and directly to the public via a network of commercial farmers markets. Brooklyn Grange also recently expanded their business to provide occasional prepared meals and alcoholic beverage services to the public at the site of their main production facility.